Many people are unaware of the advantages that come with cosmetic dental treatments. Although these procedures are branded cosmetic, they serve more than just and aesthetic role. Even so, for people who’ve had issues with how their teeth look in the past, such a procedure can also change your life. Here are ten very good reasons why you may want to consider a cosmetic dental procedure. When you opt to go for a procedure such as teeth whitening or an implant, you’ll be investing in your teeth. Once many people undergo these procedures and see the amazing results, they feel more motivated to maintain the look. Issues such as the staining of teeth are as a result of habits such as smoking and can also be the result of consuming excessive amounts of coffee, sodas etc. To maintain the new look, some people decide to cut certain foods from their diets which is usually good for the long-term health of their teeth. If you’ve been suffering from headaches for no apparent reason, the issue might be your teeth. When teeth are misaligned, one of the possible side-effects is headaches. In fact, this headaches can be expected when your teeth have any sort of irregular bite. Another common side effect of this is tooth pain. Thus, realigning your teeth may seem cosmetic on paper but might actually have several health benefits. Eating can be a difficult task when you have teeth that are missing, cracked, misaligned etc. Many people will not have much of an appetite if they have to deal with the pain that such problems may cause. Additionally, there is the difficult task of having to pick the foot that may be trapped in any spaces between the teeth. Cosmetic treatments such as dental bonding can make eating an activity that’s a lot more pleasurable. Periodontal diseases are infections of the structures around the teeth such as the gums. These infections are quite common and can be result in swelling of the gums or worse if not corrected early. These diseases are caused when there is a build-up of the plaque and bacteria that is normally found inside the mouth. Cracks and misaligned teeth can interfere with brushing, making it harder to remove the plaque and bacteria when brushing your teeth. 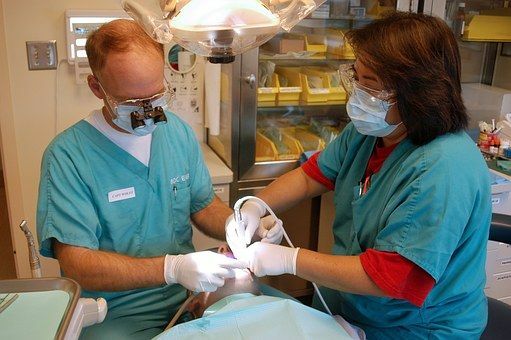 This could make it easier for periodontal diseases to develop. Thanks to all the developments that have been made in the field of dentistry in recent times, there are many issues that can be fixed using cosmetic dental treatments. From stains and misaligned teeth to chipped teeth and disproportionately small ones, there are few limits to what the modern day cosmetic dentist can fix. Therefore, an issue that many people would have been forced to live with for the rest of their lives a few decades back can now be fixed with a few visits to the dentist or even less. As you grow older, your teeth may bare some of the more visible signs of your advanced age. Over the years, consumption of certain foods and beverages will lead to the staining of your teeth. For the avid smoker, the staining of the teeth will probably start at a much younger age. However, there are cosmetic procedures that can fix all that up. There are home teeth whitening kits that you can get from your dentist and you can even have the whitening procedure carried out in the dentist’s office. The result will be an easier smile reminiscent of your younger self. For individuals in careers that focus primarily on image such as modelling, acting and various other performance arts, the teeth are an important part of the overall look. It’s not a coincidence that so many models and actors have ‘perfect teeth’. If you get the chance to look at earlier photos of the same people, you’ll realize that many have had cosmetic dental treatments. Thanks to the improved look brought on by these treatments, many have seen their careers skyrocket to new levels. When you have a missing tooth, some of your earth teeth may become misaligned due to the extra space. 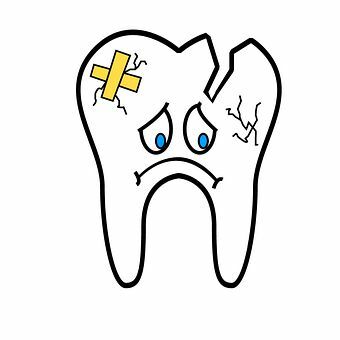 When there are chips and cracks in your teeth, it’s easier for tooth to fall apart or for bacteria to access the inside of the teeth leading to cavities or worse. These are a few of the problems that can be corrected by a cosmetic procedure but can, in fact, keep your teeth from sustain further damage. A dental implant can replace a missing tooth and bonding can make a tooth with cracks much stronger. People with stained, missing, chipped or cracked teeth may feel extremely self-conscious about it. This means they’re likely to smile less and may even look away when talking to people. This is usually because having such problems may make you feel like you’re on the spot when you’re with others. A cosmetic procedure in such a case can give you a chance to regain your confidence. You’ll be able to talk, smile and laugh with people without thinking about whether or not they’re looking at your teeth. Teeth that are aesthetically imperfect can cause you a lot of stress. You may always worry about what other people think about your teeth and the teeth may sometimes even cause you some actual pain. Having a cosmetic procedure to fix such problems can be a huge load off your back. Although there are dentists who specialise in cosmetic dental treatments, many regular dentists can also perform these procedures. The same person you go to for your wisdom tooth removal can help to make your smile whiter too.